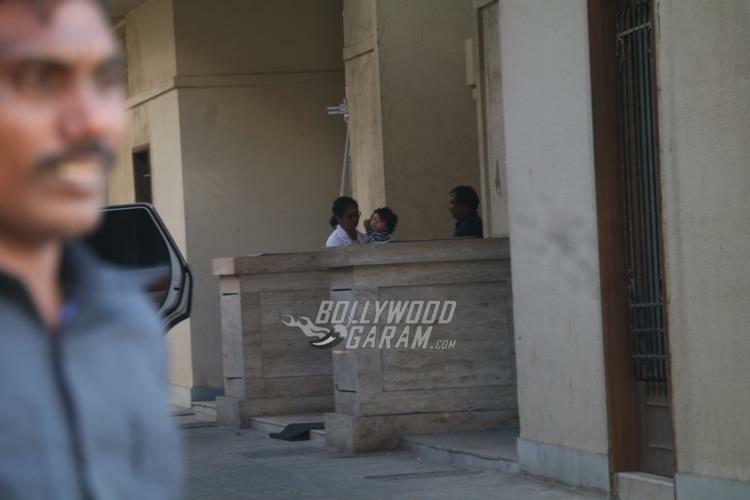 Kareena Kapoor and Saif Ali Khan’s son Taimur Ali Khan is one of the favourite star kids among the paparazzi. Taimur’s pictures often go viral on the internet and is constantly being watched. 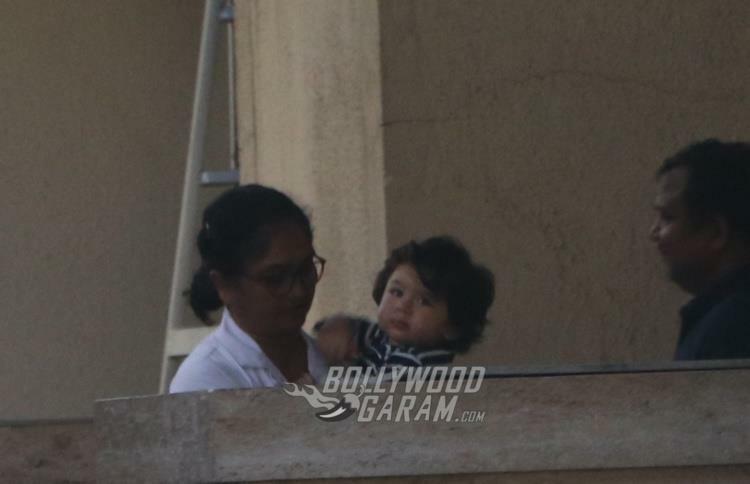 The little one was this time snapped outside Amrita Arora’s house with his nanny in Mumbai on February 11, 2018. 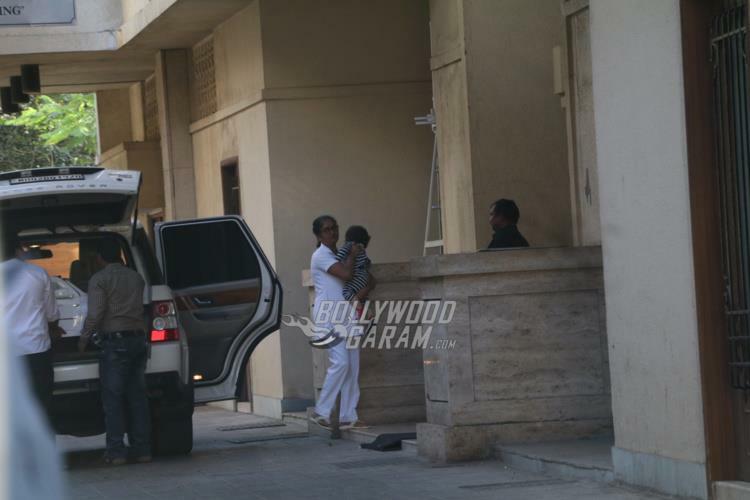 This time the star kid did not come-empty hand but carried along his mini car along with him. 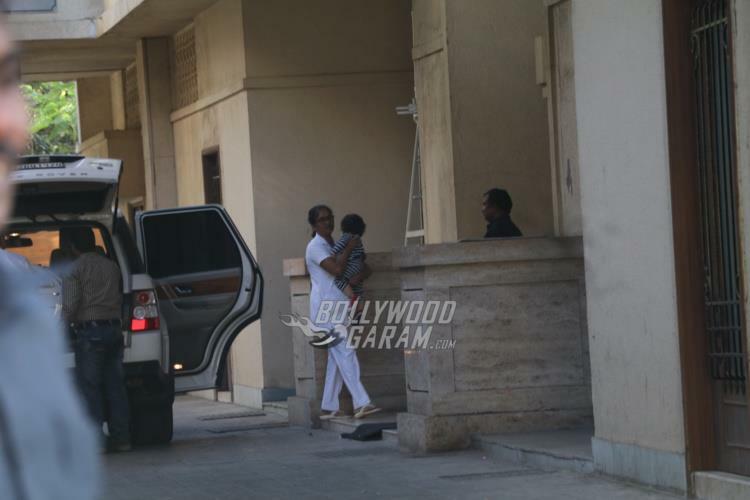 Taimur recently celebrated his first birthday with his close family and friends at the Royal Palace in Pataudi. The first birthday party was attended by just the immediate family members including Kareena Saif, Sharmila Tagore, Babita Kapor, Karisma Kapoor, Malaika Arora, Amrita Arora and others. Father Saif in a recent media interaction talked about the attention his son Taimur gets from everyone to which he said, “Attention is a funny thing. The more you avoid it, the more chaos it creates.” The Rangoon actor also spoke about how he has been enjoying to watch his stunning wife transform over the years.